. Published on July 30, 2018 . 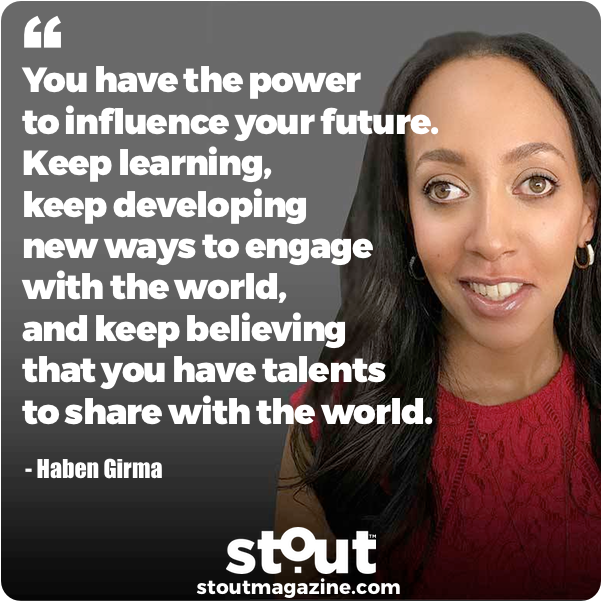 Find encouragement in Haben Girma’s pioneering example and use our Stout Action Plan to challenge yourself to develop your talent and pursue your purpose. Haben Girma is the first deafblind person to graduate from Harvard Law School. Her work advocating for equal opportunities for people with disabilities has earned her a Helen Keller Achievement Award, a spot on the Forbes 30 Under 30 and recognition by President Obama as a White House Champion of Change. Forcing role models on people doesn’t work. Instead, take the time to listen to the dreams of others and help them find ways to transform them into reality. We all deserve the opportunity to develop our own unique talents and interests. Don’t let what other people say or see set your expectations for success. Find what you are good at, your talents, and look for the best way to apply them to your purpose. 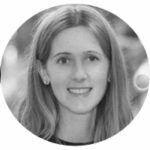 Girma turned around the idea that her disability was a success stopper to focus on challenging and changing external barriers that held her back. Use her fresh look approach to analyze challenges you are facing and find out-of-the box solutions to use and share. Engage with the people you live and work with to see different points of view – their connection can enlighten your world view and give you new purpose.